Haneef Adeni's latest film Mikhael opens with a few murders followed by a feud involving two rival gangs. But then the subsequent scenes reveal that the entire chain of events leading up to the feud began with a tense confrontation between two school kids. The young son of a powerful, villainous businessman (Siddique) commits suicide after going through a humiliating experience with a girl, who happens to be the sister of a doctor named Mikhael (Nivin Pauly). The blame lies entirely with the boy, but the psychotic father wants to torment the girl until she follows his son's footsteps. To make a long story short, this little vendetta is an excuse for Nivin Pauly to make his appearance in grand fashion. 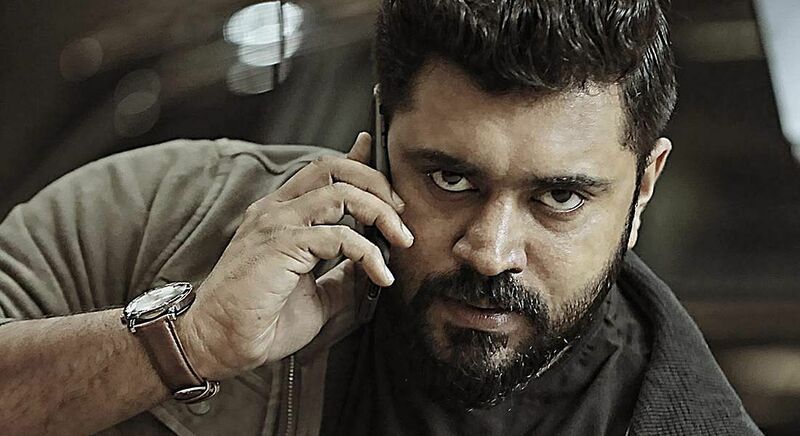 Mikhael is an out-and-out Nivin show, no two ways about it. Expect a lot of macho posturing, slow-motion sequences, and fiery one-liners punctuated by an adrenaline-pumping background score courtesy of Gopi Sundar. This is a Haneef Adeni film after all and the writer-director is giving some serious competition to Amal Neerad in the style department. I can't recall a recent Malayalam film that worked for me which had this much swag packed into it. Just when you think one character is a badass, there comes another, and then another. One of them is Marco Jr (Unni Mukundan), a quirky gangster who is after Mikhael for what he did to his elder brother. If this were a Fast and Furious movie, Nivin would be Vin Diesel and Unni would be Jason Statham. Though Unni's beefed-up body and stylish screen presence work to his advantage, there are times you feel like he is a bit underutilised. It's not until the second half that he shows up more often. JD Chakravarthy plays a cop who helps Mikhael for reasons revealed in an interesting flashback sequence. He is basically the Malayali version of Dwayne Johnson's character in the Fast and the Furious films (minus his physique, of course). Haneef repeats one or two scenes from Abrahaminte Santhathikal (which he wrote). For example, two cops narrate anecdotes about the hero to amplify his personality. This moment works more in Mikhael than it did in Abrahaminte Santhathikal. Haneef's obsession with biblical references continues in Mikhael too. And as in his scripts of The Great Father and Abrahaminte Santhathikal, he packs Mikhael with plenty of characters and information. There is an attempt to make it seem like there is a lot going on. But Haneef has improved a lot of as a filmmaker. Mikhael's script has a coherency that was sorely lacking in the other two. There are moments in Mikhael where you ask yourself why certain things happen to certain people but everything starts to make sense in the end. But this time he has dialed down the gloom and doom despite the inclusion of a couple of tragic moments. You can see that Mikhael has relatively a better sense of humour than The Great Father and Abrahaminte Santhathikal. One hilarious scene plays out like a homage to Nivin's character in Premam. Surprisingly, the one performance that stands out the most is Siddique's. To give you a sense of his twisted mentality, there is a scene where he tells his psychiatrist that his dead son is making him do all the bad things. He is capable of coming up with unique ways to murder somebody, but at the same time, he is so attached to his family. When you peel back the mass-y layers of Haneef's films, they're primarily about fathers, sons, brothers, and sisters. And because of the thematic similarities in these films, Mikhael feels very much like the third part of a trilogy. The Great Father was about a father avenging his daughter, Abrahaminte Santhathikal was about a man trying to save his brother, and Mikhael is about a man trying to save his sister. Though all of Haneef's scripts have an emotional core at the centre, writing emotional scenes is not his strong suit. Mikhael sees Nivin successfully accomplishing something he failed to do in films like Richie and Kayamkulam Kochunni. When the latter became a success, many attributed it to Mohanlal's extended cameo. But Unni, despite doing the best role of his career here, is no Mohanlal. Mikhael, with a role tailor-made for Nivin's personality, rides solely on the actor's shoulders, and he carries the film effortlessly.